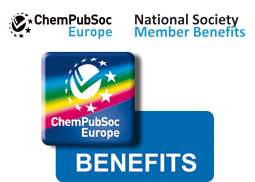 Through the membership of your national society in ChemPubSoc Europe, you can benefit too. 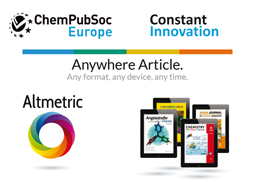 Read more about the attractive benefits, such as an Individual Member Rate of only € 98,- (plus local VAT) for your favourite ChemPubSoc Europe title, reduced publication fees for ChemistryOpen or a 30% discount on selected book titles. 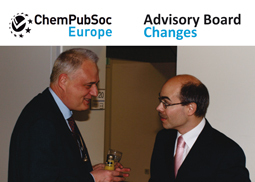 The sum of all serving ChemPubSoc Europe titles at present is impressive. Read more about the numbers as well as changes here... and watch out for more details in the editorials of the Editors-in-Chief for issue 1/2015. Electrochemistry is a field that pervades many disciplines nowadays. 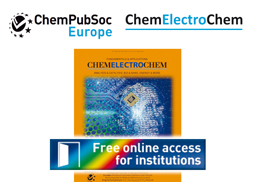 Take advantage of the introductory offer of free online access to latest results in this field published in the new ChemPubSoc Europe journal, ChemElectroChem through your institutions's library. Read how here. 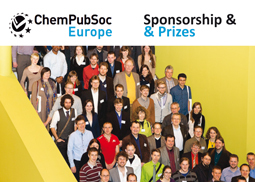 Besides the sponsoring of conferences and awards offered by the 16 national chemical societies of ChemPubSoc Europe themselves, 8 of the journals sponsored 16 conferences and awarded 33 poster prizes and 9 prizes for oral presentations. In addition the research of Helma Wennemers was recognized with the EurJOC lecture. Read more here. Last year ChemPubSoc Europe benefitted once again from constant technological innovation around and beyond Wiley Online Library. The platform showcases now more than 6.2 million journal articles. For more details please click here. Searching for the perfect present? With Christmas just behind us, there are numerous other occasions where you might be looking for the perfect present. 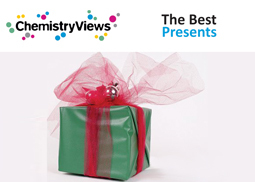 Editors recommend gift ideas with a scientific flavor. 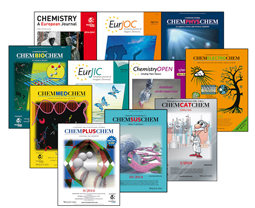 From the following short list, which ChemPubSoc Europe cover did you like best in 2014? Take part in our cover contest until February 27th, 2015 and get the chance to win a cover picture magnet of your favourite cover! For all the latest developments in your favorite journals, look up the 2015 editorials on their homepages. We wish you an exciting and successful New Year – all year long!